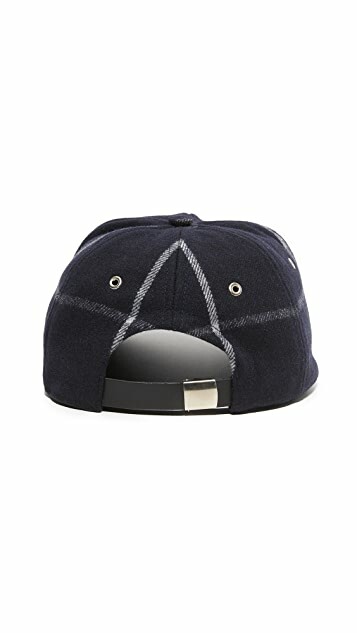 An A.P.C. 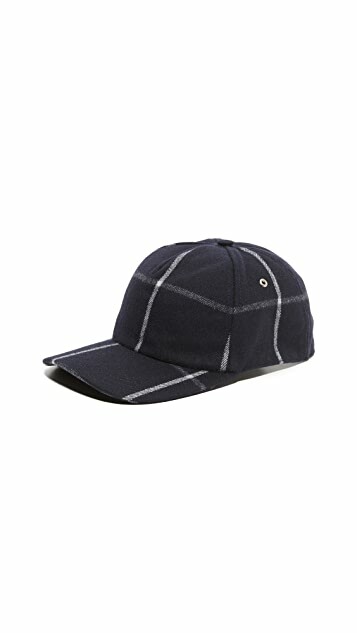 baseball hat crafted in wool plaid with a classic 6-panel design. 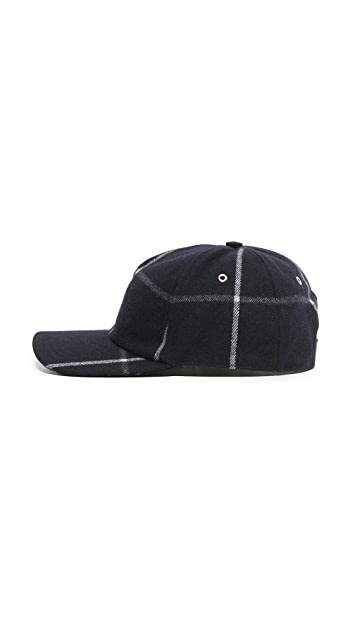 Curved brim. 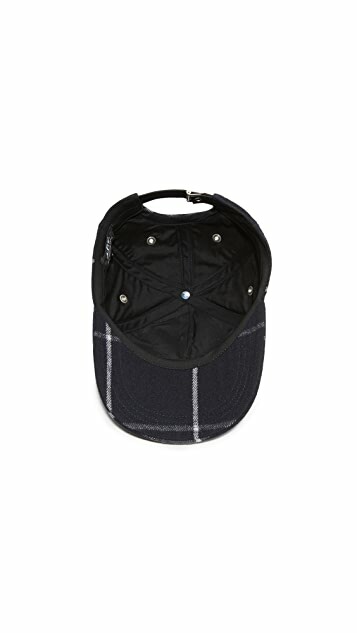 Adjustable leather strap in back.